Like Christmas, Easter in the United States is celebrated in both religious and secular ways. 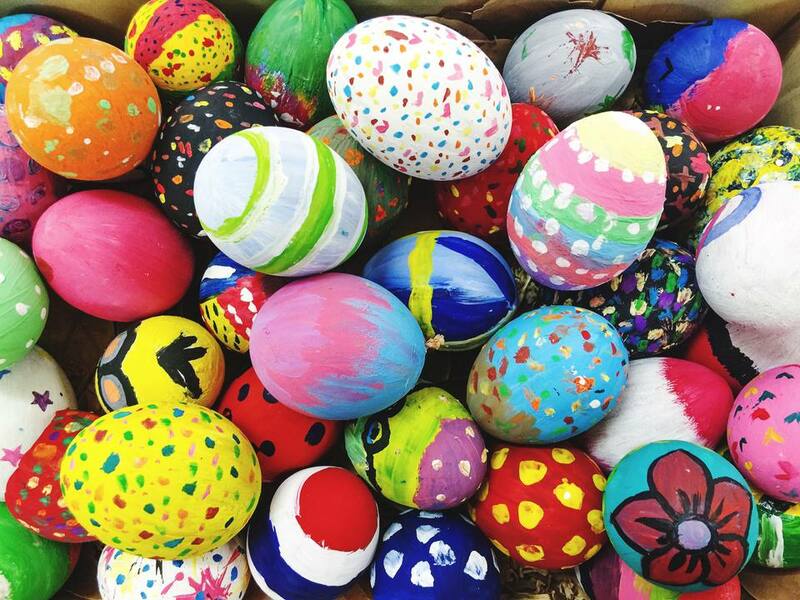 In many communities, the Christian aspect of the holiday, which includes Passion Plays and church services, is combined with visits from the Easter Bunny and hunts for dyed and/or painted Easter eggs. Easter Parades are also common. The date of Easter moves from year to year depending on the lunar calendar. Easter Sunday falls on the first Sunday after the first full moon after the vernal equinox, which places it in late March to early to mid-April. As it is one of the most important dates on the religious calendar, you can be sure that every church will offer Easter services. Catholic churches typically offer the widest range of Easter celebrations, including services on Palm Sunday (the Sunday before Easter), Good Friday, and Easter Sunday. There are, of course, some churches and communities that are famous for their Easter services. They include St. Patrick's Cathedral in New York City; Basilica of the National Shrine of the Immaculate Conception and the National Cathedral in Washington, DC; and St. Louis Cathedral in New Orleans. Easter egg hunts and rolls, Easter parades, and visits from the Easter Bunny are the most common types of secular activities taking place in communities across America at Easter time. Perhaps the most famous secular Easter event in the U.S. is the annual White House Easter Egg Roll, a tradition begun by President Rutherford B. Hayes in 1878. Other noteworthy Easter events include the Easter Parade and Easter Bonnet Festival in New York City and the Union Street Spring Celebration and Easter Parade in San Francisco. Discover Easter happenings, including services, Easter egg hunts, and Easter Sunday brunches in some of the major cities of the United States.